Dozers - Komatsu track type dozers. Loaders - Komatsu wheeled loaders. John Deere backhoe/loader. Skid Steer - Caterpillar type. Caterpillar MTL. Dump Trucks -Volvo A30L articulated. 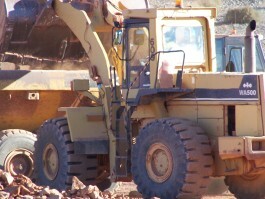 Komatsu HM30 Articulated. 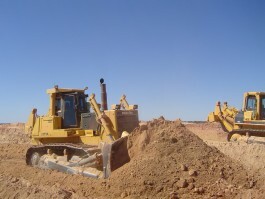 Graders - Caterpillar 12L. John Deere 7700. Water Carts - Mercedes. Semi’s. Rollers - Dynapac CA251 PC pad foot. Caterpillar flat foot. Trailers - Triaxle Road Train Side Tippers. Triaxle Road Train End Tippers. Rock breakers, lighting towers, wacker compactors and light vehicles.